During the short time-span of Come&Live!’s existence, they’ve acquired an impressive roster of “musicianaries.” I’m trying to keep up with all of Come&Live!’s releases, but I managed to overlook Sons of God’s The Genesis Prologue EP when it released early last year. The Genesis Prologue is a collection of three tracks, all with simple, one-word titles- Doubt, Manipulate, Caution- yet each song is epic. The songs encompass moody, alternative-esque guitar riffs, blatantly spiritual lyrics, and intense, captivating vocals. But I must admit, I may be a teeny bit biased; my love for Sons of God’s music stems from their stylistic similarities to one of my all-time favorite bands, As Cities Burn. The Genesis Prologue is melancholy indie rock at its best. I don’t think I’ve ever been so enamored with an EP before, especially one that contains only three songs. And I’m not the only one. 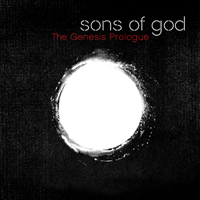 Sons of God has created quite the buzz with The Genesis Prologue, as well as a demand for a full length. According to frontman Aaron Newberry, a full-length is on the horizon; in fact, Sons of God will be releasing one this year. It can’t come soon enough.